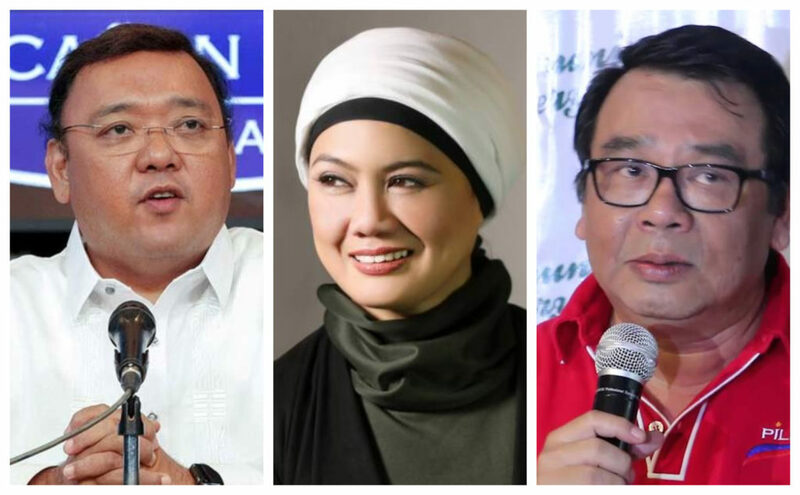 With the May 2019 mid-term elections only three months away, the need to know the platforms and characters of the different candidates is also kicking into gear. In December, eight candidates for the Philippine Senate appeared on CNN Philippines’ Election Forum. This month, the multinational news broadcaster produced a second forum with seven candidates participating – they were Samira Gutoc, Florin Hilbay, Neri Colmenares, Raffy Alunan, Harry Roque, Mar Roxas and Erin Tañada. The majority of the candidates were from the Liberal Party – the Government’s main Opposition. Neri Colmenares featured in these forums for the second time after the 2016 elections, while Roque and Alunan are allies of the incumbent administration of President Rodrigo Duterte. This second forum was evidently more intellectual than the previous forum, most likely due to the absence of Bato dela Rosa. Topics ranged from the economy, to criminal justice reform and even data privacy. Their track records and past achievements were scrutinised first. Alunan talked about his experience as Secretary of the Department of Interior and Local Government (DILG), and from there cited his experience dealing with terrorism and other security issues. Colmenares, a long-time member of the House of Representatives, highlighted his legislative record where he advocated for bills that combat high prices of commodities and a move to increase the pension of senior citizens. He also has a rich history of human rights activism. Gutoc came to prominence because of the 2017 Marawi Siege, she was one of those who founded the Ranao Rescue – a group of volunteers who helped trapped Marawi residents flee their homes without falling into the clutches of ISIS. She was also a co-drafter of the Bangsamoro Organic Law, which is currently under a plebiscite vote. Hilbay expectedly touted his remarkable achievement of leading the Philippine legal team to victory in their arbitration case v.s. China. Aside from that, he is a topnotcher of the Bar Exams and represented the Government in Supreme Court battles relating to the Reproductive Health Law and the Coconut Levy Fund. Roque is best known for his work as Spokesperson for President Duterte, but prior to that he worked for years as a lawyer specializing in human rights and in international law. He was also a congressman in the Lower House, and passed measures such as Universal Health Care and free irrigation for farmers. Roxas – the most prominent name in the bunch – was runner-up to Duterte in the 2016 general elections. He is known for his acumen on economic matters, best known as the champion of the Philippines’ burgeoning business process outsourcing (BPO) sector. Tañada is the son of the late human rights activist and notable Marcos opponent Lorenzo. Just like his father, the younger Tañada is also a lawyer who specialized in human rights cases. He is also a member of the Lower House and authored the Anti-Torture Act of 2009. The most salient issue in the Philippines at present is the lowering of the minimum age of criminal responsibility. An initial bill filed by Rep. Victor Yap wanted to bring it to as young as nine years old, later this was amended to 12 years old. Roque said he opposed lowering the MACR to nine years old during his time as congressman, but agrees with the new minimum age of 12. Roxas was against the idea entirely, whether the age was 9 or 12. He cited that one has to be 18 years of age to vote, to consume alcohol or to join the military – it made no sense for anyone younger to be criminally liable instead. Alunan firmly supported the initiative however, and called it a “preventative” measure”. He called for the need for parents to be involved and be accountable in their children’s actions, but stated that offenders as young as nine years old should be kept under custody in rehabilitative facilities. A quick vote was also conducted regarding the candidates’ opinion on reinstating the death penalty for drug-related crimes. Out of the field of seven candidates, only Alunan voted in favour of reinstating capital punishment while everyone else disagreed. Roxas and Alunan – both of whom are former DILG chiefs – were pitted against each other on the issue of solving the Philippines’ drug woes. The latter cited that he received information as DILG chief from the U.S. DEA in 1995 that the country risked becoming another Colombia because the amount of narcotics in the country was proliferating – to a point where cartels have power over government officials. Alunan stated that a “strengthening of laws” was required, and given he earlier mentioned his support to reimpose the death penalty, it is clear that this is his strategy. Roxas, on the other hand, wanted to tackle the demand-side aspect of our drug problems – rehabilitate drug addicts while employing “parental guidance” to curb teenage drug abuse. On the law enforcement aspect, he called on authorities to focus on drug manufacturers and importers and not drug addicts during their crackdowns. The forum also happened on the same day that the bombing of a cathedral in Jolo, Sulu happened. Candidates were asked if Duterte’s imposition of martial law over Mindanao was helpful. Gutoc opposed martial law and instead argued for peace education to be included in the national curriculum. She cited the importance of teaching Christian and Muslim students to co-exist with one another, in order to curb terrorism. Hilbay, a constitutional lawyer, argued that the President already had full control over the Armed Forces of the Philippines and the Philippine Police to control security issues even without imposing martial law. He cited the example of the 2013 Zamboanga City Siege, when armed militants occupied a major city and were defeated without then-President Aquino declaring martial law. As expected, Alunan – an ally of Duterte – supported the imposition of martial law. For this comment, he was loudly booed by the audience. He made a questionable claim that the people of Mindanao supported martial law. Gutoc cited that being a mother, she was concerned about the high prices of commodities. She made a vague comment saying the Philippines was “the poorest country”, and that many suffered due to the rising prices. However, the Mindanao activist never mentioned how she will curb the inflation rate. Tañada immediately blamed the Duterte administration’s tax reform policies – TRAIN 1 & TRAIN 2. He said he will immediately move to suspend excise tax increases as mandated by these laws. Hilbay – a Liberal Party stalwart just like Tañada – also opposed the TRAIN Laws’ excise tax hikes and stated it hit low-income families the hardest. He also used his knowledge of the Constitution and argued that the tax reform policy was in violation of it. The 1987 Constitution called for a progressive tax system, which meant the poorest families should have the lowest tax burden in society – Hilbay stated that this was not the case because of TRAIN and called for its abolishing. Also in focus was the issue of increasing rice prices. Colmenaresblamed the Government’s lack of support on our agricultural sector for the rising costs of rice grains. He called for more subsidies on domestic farmers, so Filipinos can purchase rice that is cheaper than imports from Thailand or Vietnam. The labour rights activist also called out the excise tax increases on fuel, stating this creates added costs of productions for rice farmers – making them less competitive than their Thai or Vietnamese counterparts. Roque called for the lowering of rice tariffs, as well as increasing imports from overseas. He agreed with Colmenares that subsidies should be given to local farmers, and that harsher penalties on rice hoarders be legislated. Roxas, an acclaimed economist, argued against rice importation and instead called for a modernization of rice production in the Philippines. He cited the example of Negros Occidental province, which has a substantially higher rice production than the rest of the country, as evidence of our potential to produce more grains. A question from the leftist activist group Kilusang Mayo Uno (May 1st Movement) asked the candidates if they supported increasing the national minimum wage. Colmenares, an ally of said group, stated that he filed many bills during his time as a congressman seeking an increase to the national minimum wage. He also declared opposition to the regionalisation of minimum wage rates, stating that prices in Manila are not different from the prices in the provinces but somehow workers in the provinces earn less than their counterparts in the capital city. Roque declared his support to increase the national minimum wage, stating it was the Government’s main role to help the plight of workers. He also called for the need to have the national minimum wage rate reflect the current rate of inflation. Tañada wanted a review of the regional wage board models, which set a regional rate of minimum wage in different parts of the country. He said it was unfair that Manilenyos should have a higher wage compared to the provinces, since all Filipinos are hit with the effects of inflation anyway. Wrapping up the forum, the candidates were asked what their legislative priorities will be if successful in their bid for the Senate. Tañada called for measures to increase wages in the country, not only to cope with inflation but also to reach pay parity between Manila-based workers and those in the provinces. He cited how this could incentivize people to move to the regions, thereby decongesting the capital city. Roxas declared his mission to build the economy. He called for the repeal of TRAINS 1 & 2, while creating incentives for foreign investors to enter the Philippine market and create jobs. The former presidential candidate also called for the modernization of the country’s internet connectivity, stating how this could lead to more investments in the country. Roque expressed his desire to implement policies he championed such as the Universal Health Care Act and the free irrigation for farmers. He reminded the audience of his “Zero Hunger Bill”, and made eliminating hunger in the Philippines his key priority. Hilbay ended his participation in the forum by citing platitudes, he said voting for him will mean voting for “a statesman, not a crass politician” – in an obvious hit on President Duterte. He stated his “4 P’s” program, which is a policy to alleviate poverty by creating job opportunities. Gutoc called for a more inclusive democracy, peace education and integration of tribal groups into society. She cited that Moros, the mostly-Muslim ethnic group of Mindanao, should have greater representation in our political system. Colmenares said he will prioritize the repeal of added tax imposed on fuel and power by the TRAIN law. He also called for the removal of value-added tax on power and food products, while calling for an increase in the national minimum wage and the retirement pension. Alunan said he wanted to “build the nation”, in doing so he wanted to “protect the people, secure the border, sustain progress and promote values education in schools”. He also called for the modernization of the military to ensure our protection from threats. The best performance of the night came from Neri Colmenares, who gave not only sensible solutions to the problems being raised but also articulated them eloquently. He stuck true to his progressive roots, calling for reforms that would help alleviate poverty and build the nation. Roxas was the runner-up, his excellent display is evidently helped by his long experience as a Cabinet secretary, economist and a former Senator. He gave clear, concise answers with regards to the economy – proving his widely-acclaimed expertise on economics. Roque was the third best performer, which should not come as a surprise given his long history in Philippine politics as both a legislator in the Lower House and as the official spokesperson of President Duterte. He answered eloquently but also presented policy suggestions that made sense. Hilbay, although still producing a fine display, widely disappointed. His story is remarkable, coming from the slums of Tondo, Manila to becoming the topnotcher of the bar exams. Instead, he seldom displayed his knowledge of the legal system and the Constitution and instead focused on attacks on the incumbent administration. Alunan, another seasoned politician and ex-Cabinet secretary, did not appear as though he held such experience and gave rather vague remarks throughout the night. Nonetheless, he articulated clear policies regarding law and order as well as national security – which gives him some value if he were to be elected to the Senate. Gutoc and Tanada were largely unknowns throughout the night, with the former giving very nebulous responses that exposed her inexperience in politics. Their participation in the forum may have helped them in terms of name recognition, but not much with regards to proving their substance.